Duncan, British Columbia is the unofficial capital of the Cowichan Valley on Vancouver Island. 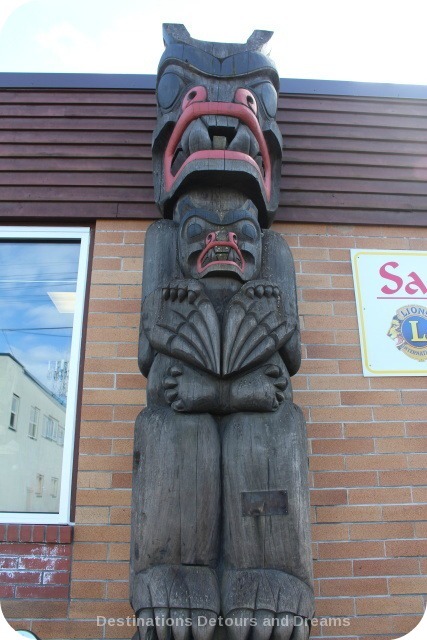 It is also know as the “City of Totems.” More than 40 First Nations carvings are located throughout the town. 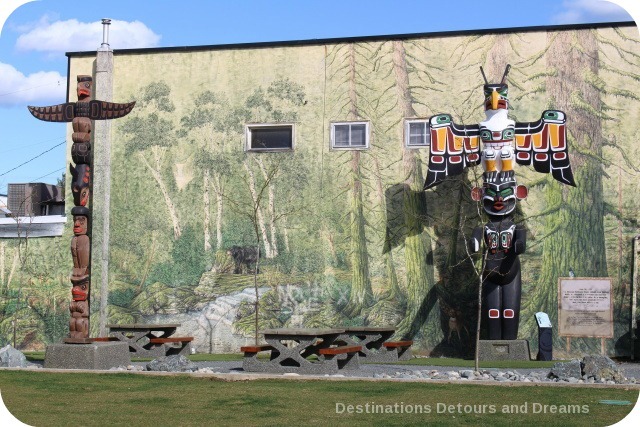 Duncan is located on the traditional lands of the Cowichan First Nation, who have lived here for millenia. The current city of Duncan began as a village called Alderlea in 1887. William Chalmers Duncan donated farmland for the town site. The railway crossed Duncan’s land and the train station became known as “Duncan’s Station.” “Duncan” became the official name of the city when it incorporated in 1912. 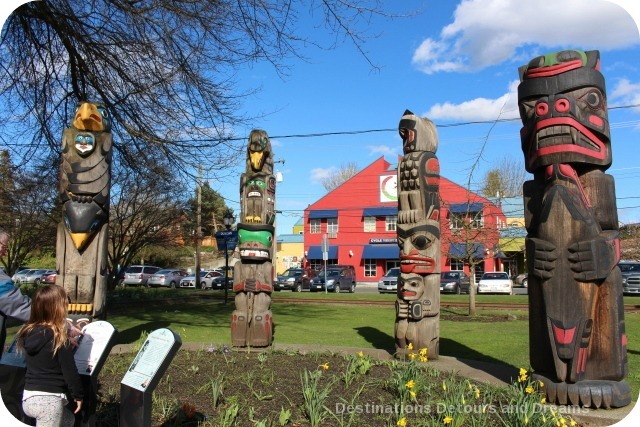 The city shares a boundary with Cowichan Tribes lands in the heart of its commercial core and the two communities work together on infrastructure, services and community programs. 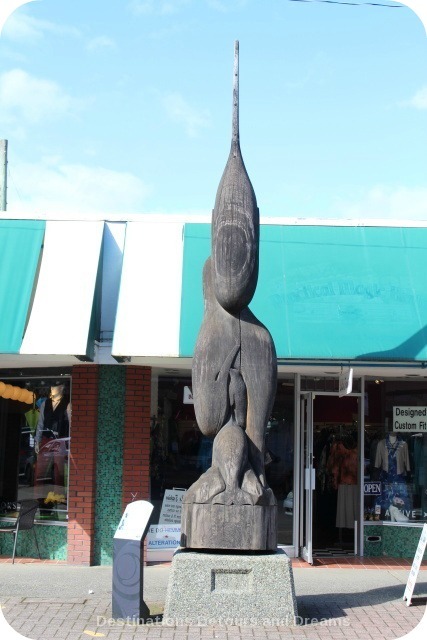 The totem pole project began in 1985 to attract visitors to Duncan. The number of totem poles grew over the years. The designs of the poles reflect peoples’ lives, businesses and families, and represent two cultures coming together. 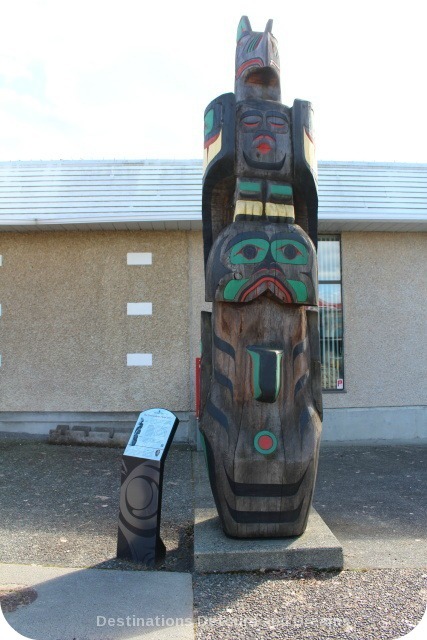 In 2012, dedicated signage was developed to provide information about the specific totem, its carver and the story the pole depicts. The railway station in the centre of town is a good place to start your own walking tour. There is a public parking lot beside the station as well as green space and a cluster of totems poles. 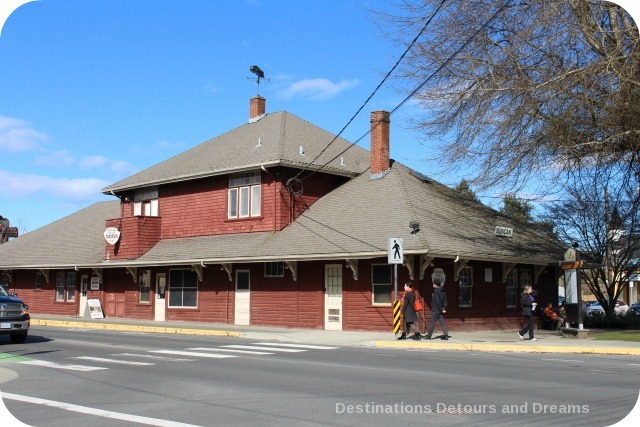 It seems a fitting place to start because the railway helped make Duncan the commercial centre of the Cowichan Valley. The two-storey, wooden railway station was built in 1912. The second floor was the agent’s living quarters. Today, the building houses the Cowichan Valley Museum. Tall, carved poles have been made on the Northwest Coast since ancient times. 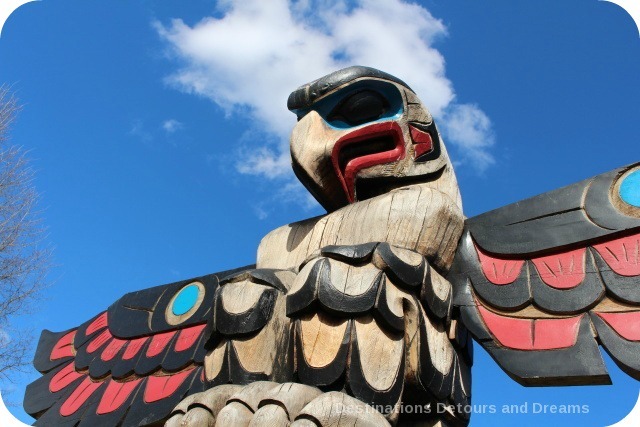 The Kwakwak’wakw and Nuu-cha-nulth tribes made totem poles as giant human welcome figures. 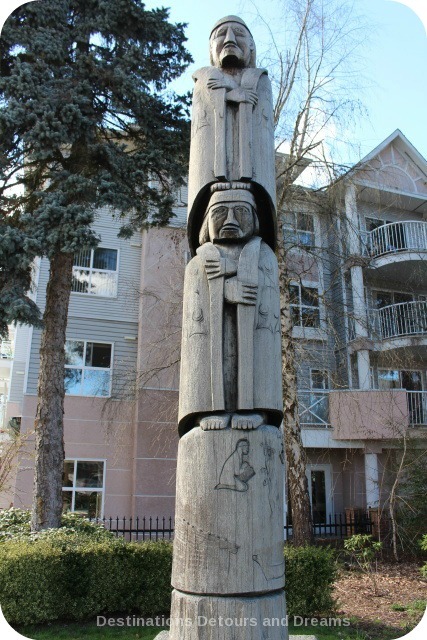 The Coast Salish people carved large human figures on poles to represent ancestors and spirit helpers. The design of house posts or totem poles told a family’s story. The woman and man in Cedar Woman and Man are wearing Coast Salish blankets. The two figures represent a balance between the male and female aspects of life. Western Red Cedar, known as the Mother Tree by First Nations, was used for all of the poles in the collection. Cedar Man Walking out of the Log is the world’s widest totem at 5 feet 11 inches in diameter. The design came from a Hunt family pole that honoured Mungo martin, a Kwagu’ł master carver. The top of the pole was left natural so people could see the log. It forms the hairline for Cedar Man. 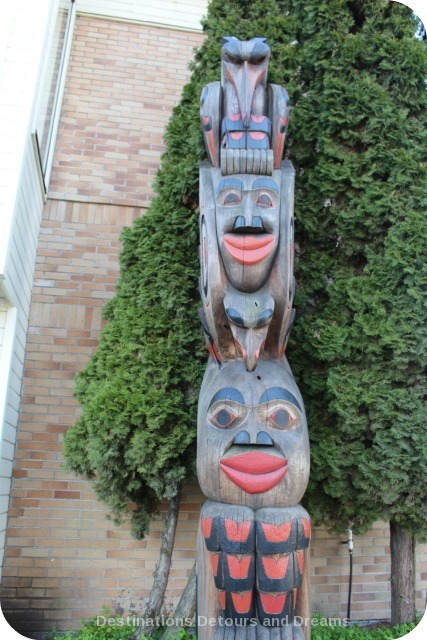 The totem pole has become a key symbol of Northwest Coast First Nations. In the 19th century, settlers in British Columbia sought to assimilate First Nations people and threatened to limit expressions of traditional culture. Potlatches, the ceremonies held when new totem poles were raised, were made illegal. Many tribes stopped making totem poles, although they still carved small models for tourists. The anti-potlatch law was dropped in 1951. The Northwest Native peoples resumed carving totem poles. 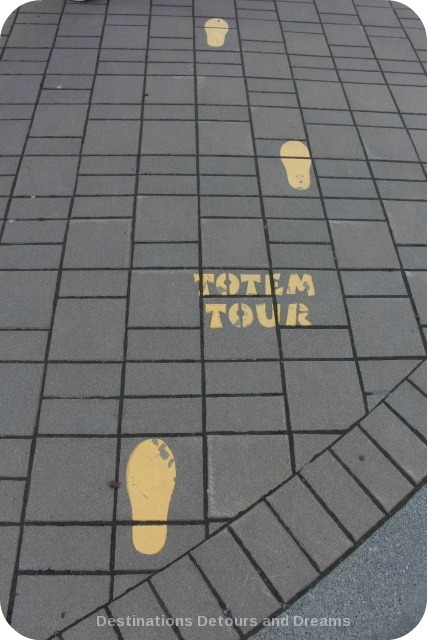 You can find a map of the totem poles on the Duncan Visitors site or you can wander through the town following the footprints on the sidewalk. I have had the good fortune to see some of these magnificent totems. They are truly beautiful and worthy of seeing in person. Susan, I agree they are worthy of seeing in person. I’d been to Duncan 10 or 11 years before. The signage was new since then and enriched the experience by being to read about the pole’s design and its artist. That looks so interesting. Would love to see it. 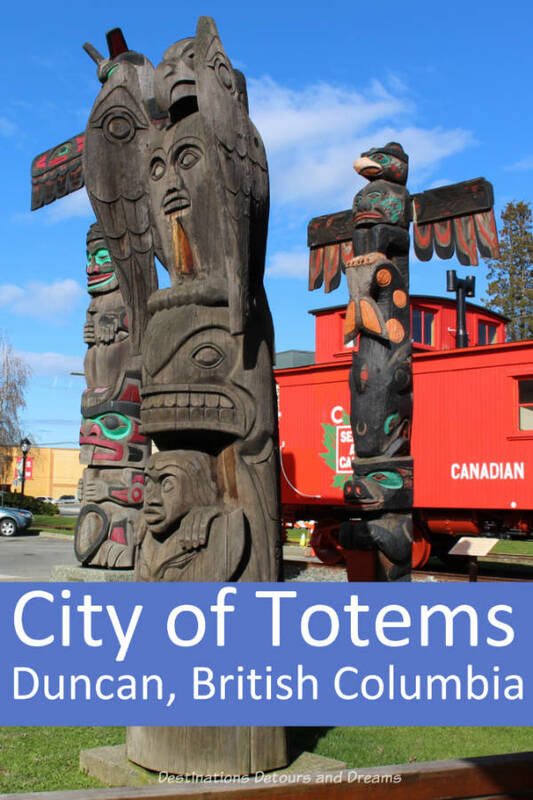 Ken, I think you’d enjoying seeing and reading about the totems. Henk and I are thinking of doing a trip to the west coast next year, and totems are definitely one of the things we want to capture, so thank you for the heads up about Duncan. Jane, the totems are fascinating. 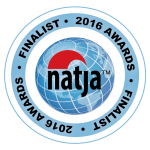 I’m sure you’ll enjoy your trip – lots to see along the west coast. Great story! 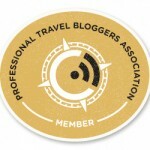 I have now put this as one of my places to visit. 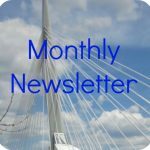 I was wondering what template you use for your blog. I really like the set up. Is it WP? Thanks Carol. I use the Suffusion theme for WordPress. We saw a totem pole city on our drive down from Alaska through British Columbia. I wonder if it was Duncan??? 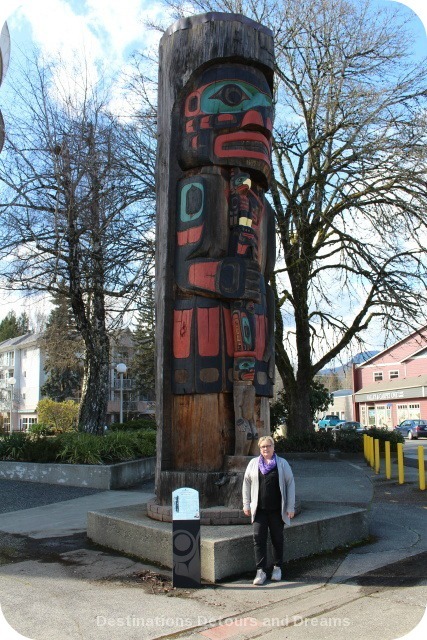 Carol, if you drove through Vancouver Island, it is likely Duncan where you saw the totem poles. I haven’t seen it, but I’ve read that the community of Sechelt along the Sunshine Coast also has a number of totem poles. 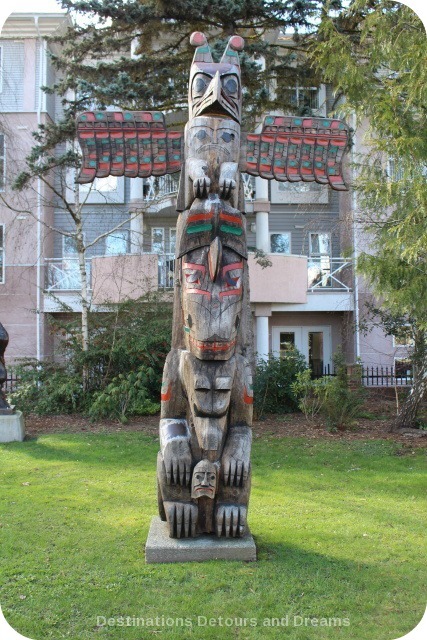 I saw some totem poles when I was in Vancouver. I found them absolutely fascinating, very different from our European history. Karen, I find totem poles fascinating too. They are unique to the west coast of Canada, not part of the history of the rest of Canada. Anita, I’m just starting to appreciate how interesting the the stories behind each individual totem are. I find totems so fascinating! We saw some while visiting Alaska that looked similar to these in British Columbia. So much history and rich culture surrounds them! Patti, it’s interesting how many people use the term fascinating when talking about totems! The history is indeed interesting. 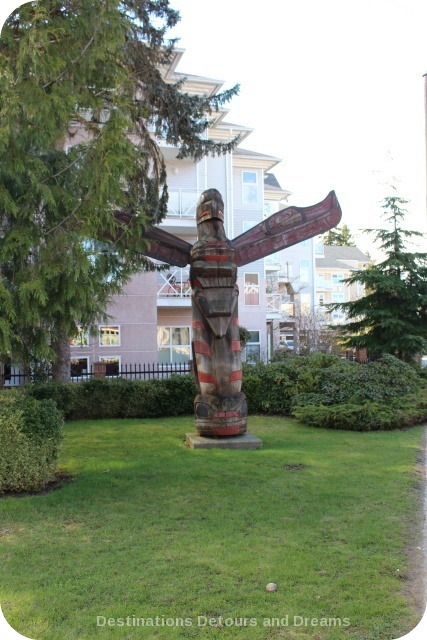 These totems are wonderful and its refreshing that the city of Duncan honors its First Nation neighbors in this way. The walking tour looks like a perfect way to appreciate this art. I visited Victoria many years ago and I think I remember there being a number of totems in public spaces. It was when we were celebrating our 10th anniversary and we’ll be celebrating our 35th next month—so, yes, a while ago. Do you know if my memory is deceiving me? I love these totem poles. I’ve seen many similar ones in Vancouver and Alaska. Thank you for letting me know about Duncan. I’d love to visit it someday. Thanks Anda. Totem poles are so interesting and so unique to the northwest coast. Great info Donna! 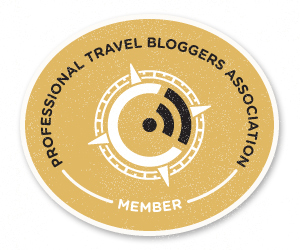 We’re considering a summer trip to BC and this will be useful in the planning. Linda, a summer trip to BC sounds like a lot of fun. Vancouver Island is well worth spending time in. 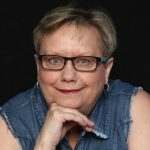 I’ve done a few posts about Victoria and the Cowichan Valley and have a few more coming over the next few weeks. The rest of the island is worth exploring too, if you haven’t done that before. Donna, don’t know how I missed this earlier! You’ve nailed it with this one. Love our Northwest totems and between your photos and narratives, I felt like I was there with you.